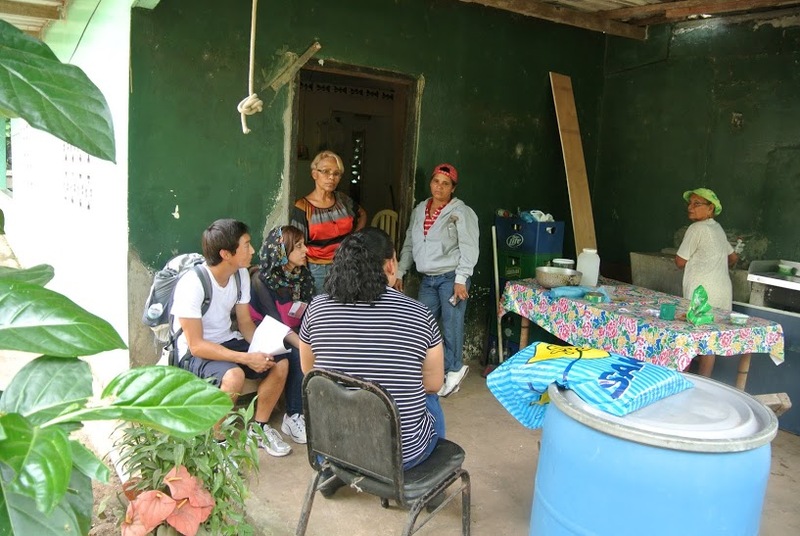 On Thursday, the 24th, we went to the Pacora community with the vector control team of the health center including Franco, Pacheco, Melissa and 3 more promoters. We divided into three different groups to do our surveys. Few houses which were on the main street were very well built like the city houses. They had TV, cars and other stuff like city houses. But few of the houses which were deeper behind those big houses, were in pretty bad condition. Those houses did not even look like houses. The residents looked poor and had no proper water supply or even clean containers to store water. During our surveys, we found out that the biggest problems for the community were water and transportation. They had no access to portable water. The portable water was supplied to them at 3 am mostly and the supply was not even regular. They received water twice or thrice a week. The community was very friendly and they knew each other as they were mostly all related to each other. It was a very exciting yet depressing experience to meet and talk to this community. Later after doing our surveys, the vector control team took us to Cerro Azul, which is a dog training facility. We saw a trained dogs show there on different tricks they had taught them like detecting bombs, drugs etc. It was another exciting experience for me as I have never seen a dog training facility before. On Monday, the 28th, we went out in the field again. We conducted few surveys with in the clinic first. 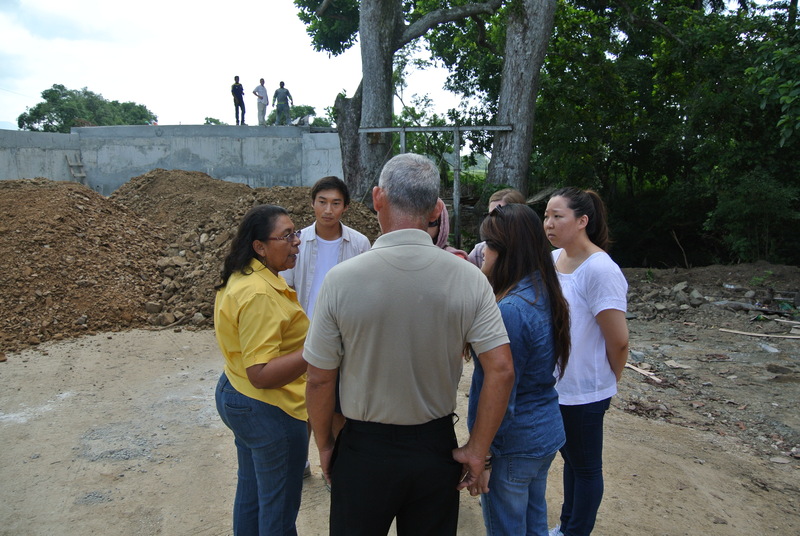 Later, we went out to the 24 de Dieciembre community with Dr. Calvo. She helped us with the translation and surveys. It was a good experience to meet this community. They had good water supply as compare to the Pacora community, we visited on Thursday. Few houses in this community were very well built and few were small and not properly constructed. In the afternoon, we worked on our presentations and projects. On Tuesday, the 29th, we again went out in the field. It was an exciting experience, as we saw the water filtration/sanitation plants for both the rural and urban areas. First we went to the community of Pacora. The roads were broken and not developed. They had broken pathways with pebbles on them. It was hard to drive through those ways. We first saw the river which the community use for their drinking and washing purposes. They had built a wood bridge over it which was very dangerous. We walked over it and took pictures. Now the Ministry of Health and the Community is constructing a new bridge with cement. Later we went to the school and houses. The community has 48 houses and 182 residents. The vector control team took water samples from the school and put a chlorine detecting solution it. It turned red and hence there was no chlorine in it. They showed us the water well and the water tanks for the community as well. They keep it filtrated and clean through chlorine. They also collected samples from a house and it had no chlorine in itas well. They sent the other car to take samples to the Gorgas Memorial Institute Laboratory for inspection. 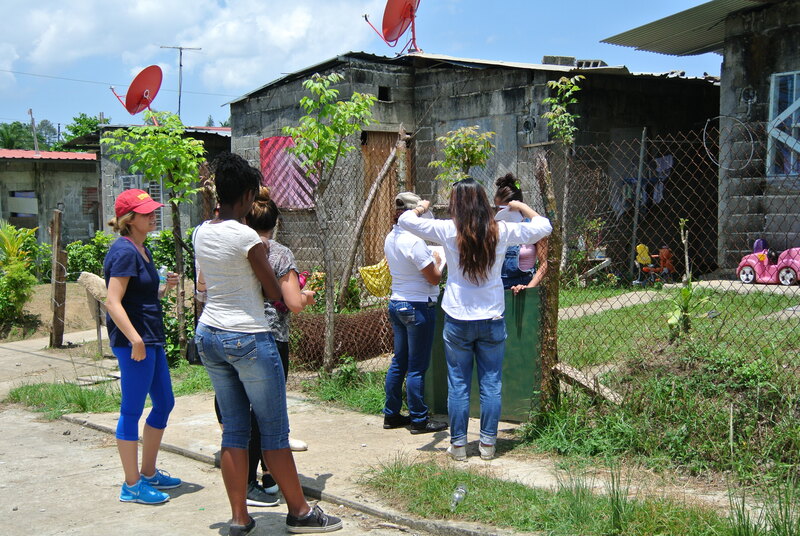 Later they took us to the area of CerroAzul, where they have the urban water sanitation plant. It was a huge plant with different processes of filtration, sedimentation and processing. They also showed us all the chemicals they use for water purification. This is the water for human consumption. It was a great experience to see all this purification plants and water wells.